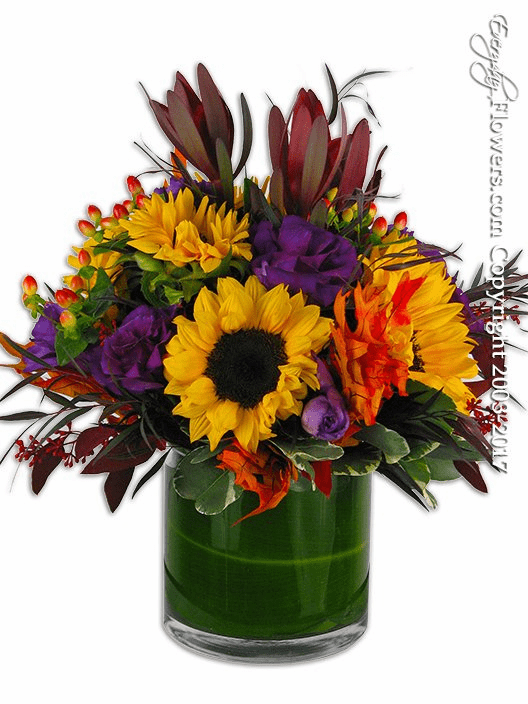 This is our deluxe version of our Autumn Breeze with even more sunflowers lisianthus hypericum berries safari sunset and fall leaves. Available for delivery by Everyday Flowers to all cities located in the Orange County California area. Thanksgiving Flowers by Everyday Flowers to your family and friends in Orange County California.